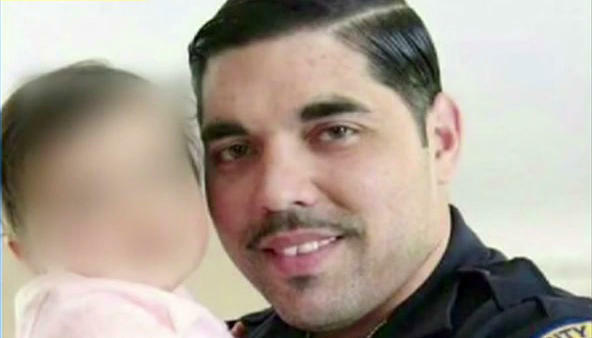 MIAMI -- A Miami police officer has been relieved of duty without pay after a post about an 8-year-old’s killer appeared on his Facebook page, CBS Miami station WFOR-TV reports. Andrew Mesa, a 10-year veteran with the Miami Police Department, shared on his page a passionate Facebook video post from a cousin of 8-year-old Jada Page, who was shot and killed last month. The family is desperate to find the little girl’s killer, and they’ve been vocal about their plea for someone to come forward. But the post not only got a lot of attention, it may have also gotten Mesa in trouble. Mesa shared the video, along with some angry commentary toward communities that speak out about police use of deadly force. He ends his post using the hashtag #GoGetTheKillersYourSelves. Miami police told WFOR-TV that Mesa is “home, relieved of pay” while an investigation is being conducted. The department would not say why he’s being investigated. The Miami Fraternal Order of Police is representing Mesa.